Please contact us on 0191 489 1810 or by email at sales@vfs-ltd.com to enquire about this or any other product. For a full list of dimensions please click on the button to the right to view the full product information. If you require technical drawings or CAD files please contact us. Please click on the manual below to view the essential information regarding Pipeline Pipe Fittings. 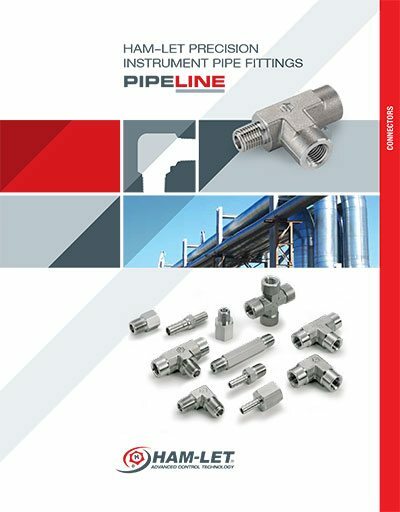 This includes details on safe working pressures, material specifications and how to correctly and safely install fittings. Please feel free to contact us should you have any questions about these or any other products on 0191 489 1810. Thank you. 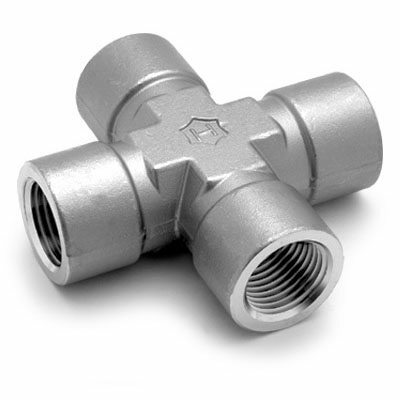 “Are your tube fittings Interchangeable and intermixable with Swagelok, Hoke Gyrolok, Parker A-lok etc”. We are so confident that our components are manufactured to the same exacting standards and tolerances that we also provide a limited lifetime warranty to eradicate the misleading claims that components cannot be intermixed. For additional information, test reports and actual “hands on demonstrations” please contact us to find out more. As a result of extensive testing and evaluations by HAM-LET and from the many thousands of satisfied customers around the world who have chosen our products for SAFETY, RELIABILITY and PERFORMANCE, HAM-LET hereby warrants all products to be free from defects in material and workmanship. This warranty shall also extend to the intermixing of components manufactured by several American organisations such as Swagelok, Hoke, Parker and HAM-LET products. The manufacture shall be liable only if the product is used as specified in the current catalogues and written instructions. The purchaser’s remedies shall be limited to replacement and installation of any parts that fail through a defect in material or workmanship. Manufacture specifically disavows any other representation, expressed or implied, warranty, or liability relating to the condition or use of the product.